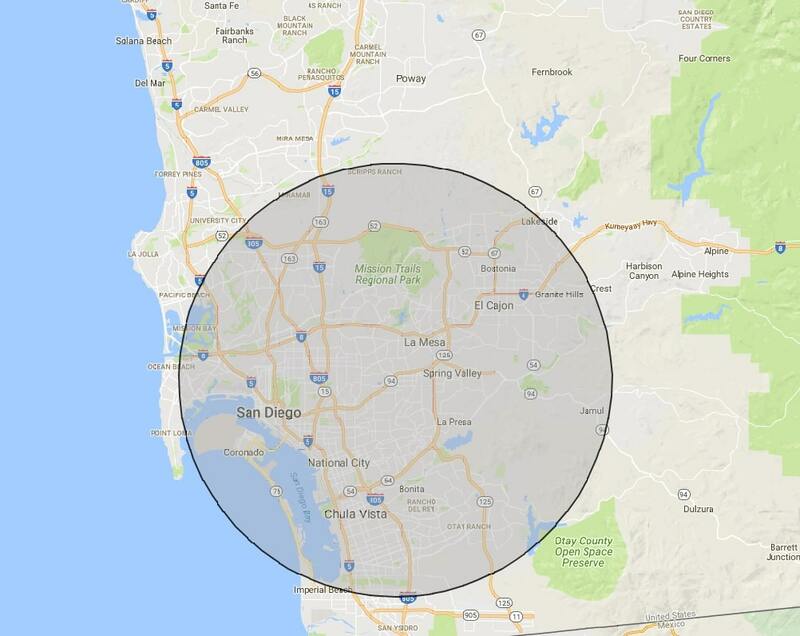 San Diego Bouncers provides free delivery service to the following communities: Bonita, Chula Vista, City Heights, Coronado, Clairemont, Eastlake, El Cajon, Imperial Beach, Jamul, Most of La Jolla, Lakeside, La Mesa, Lemon Grove, Mission Valley, National City, North Park, Central San Diego, Santee, and Spring Valley. Is your area outside of our free delivery area? No worries! We will gladly deliver outside our free delivery area, for a reasonable fee. Use our online booking tool to check the delivery fee for your area. We deliver bounce houses to all of San Diego County including Alpine, Carmel Valley, Descanso, Encinitas, Escondido, Del Mar, Miramar, Mira Mesa, Pine Valley, Poway, Rancho Bernardo, Rancho Penasquitos and Rancho Santa Fe!